These babies are so lightweight and fun, it instantly gives any outfit a look of ease and casualness. What's one of the most sexiest things ever? Looking effortlessly stylish, which these cardis can achieve. I'm no amazing seamstress, but with the help of Anneorshine or Life Ann Style quick DIY Kimono video, I can totally do it! 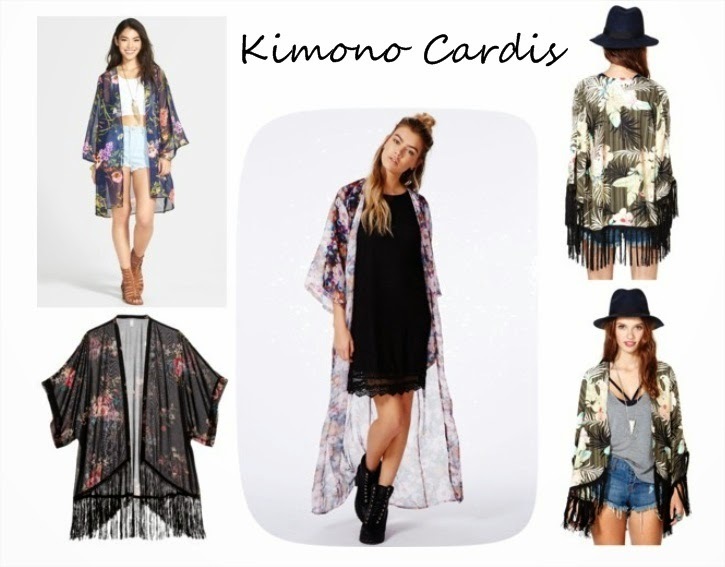 This is on my list of to-do DIY projects, and who knows, maybe I'll have that floor length kimono cardi in no time! Or I'll become lazy and just never have one... ::sigh:: CROSS YO FINGAHSSS! You can find Anneorshine's DIY Kimono Shawl video here. If this inspires you, send me a link! I would love to see how you style and/or what you created with the help of that video!